As a new show covering Beatles recording sessions at Abbey Road premiers at the Royal Albert Hall, Live Music Exchange’s Adam Behr writes in The Conversation today about talking to the show’s producer, how the Beatles changed the status of the record in popular music, and the challenges of depicting that process on stage. I’d probably now be a retired civil engineer living in a nice part of Lancashire … because they opened the door for the northern accents, the northern guys to get down there and do things. 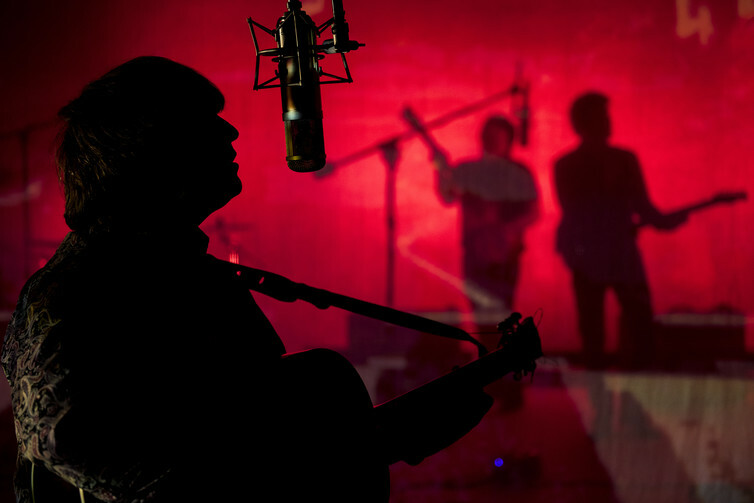 Hanlon came out of retirement to produce The Sessions Live, a “live restaging of the historic recording sessions of the Beatles”, which premieres at London’s Royal Albert Hall on April 1. The complexity of the show is testament to the changes wrought on the fabric of popular music by the quartet and their production team at Abbey Road. Hanlon stresses that this isn’t a lookalike show with “guys with wigs on their heads and tie-dyed jackets and Cuban-heeled boots”. Instead, it is an attempt to capture the sound and the recording process. It features 45 performers, including seven singers (veterans of previous Beatles shows) to recreate double-tracked vocals, a six-piece band of leading session musicians and a 21-piece orchestra. It also features actors playing technicians, Yoko Ono, recording engineer Geoff Emerick, and, of course, George Martin, the Beatles’s legendary producer. When Martin died recently, the celebrations of his achievements hinged largely on his status as the “fifth Beatle”. But this fruitful relationship was by no means a given in the beginning. Martin, a Guildhall graduate and ex-Royal Navy officer, was a stark contrast to, as Hanlon puts it, the “cheeky scousers who came round from Liverpool and said what they thought”. But Martin’s track record of working with the Goons, who were much admired by the Beatles, gave him an open ear for innovation and word play. When asked after they worked together if there was anything about the session they didn’t like, George Harrison’s response – “Well, there’s your tie for a start” – broke the ice and led to a revolution in recording history. For all their success as live performers, the Beatles’s ultimate legacy was their recordings. Martin provided the technical and musical ballast for their imaginative flights, from string arrangements, to synching two four-track machines in different studios, to developing sound effects. The Beatles pushed the envelope of what popular music was, making the studio a creative space – an instrument in itself, rather than just a place to record performances. 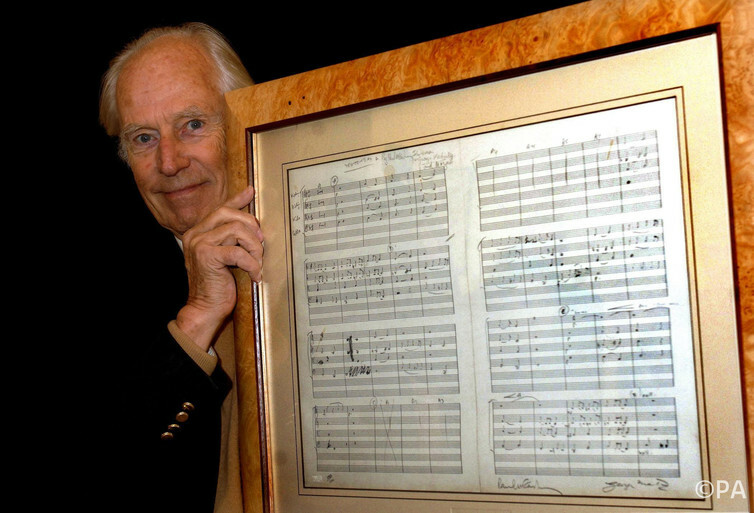 With George Martin, then, they changed the commercial and artistic realities of popular music, driving forward the recording as the key creative statement and putting the album at the centre of the commercial process. When Martin started at EMI, producers were rule-bound functionaries and engineers, effectively lab assistants in white coats. By the end of the 1960s, the recording studio was at the centre of both creative innovation and social change. (The rise of the recording. There’s no doubt that wider social forces were also at play. But the Beatles’s work with Martin and Emerick helped to drive the boat by placing recording at the centre of popular music creativity. Their work helped to define the role of “record production”, taking it beyond the technical realm into the creative sphere and making the record, rather than the underlying song, the key text in pop. We’ve got about 37 different guitars, so that every guitar the Beatles used in the studio will be used on the track it was used on … We have the same mics, the same mic positioning from the studio plugs. This entry was posted in Blog, General and tagged 1960s, Abbey Road, George Martin, Jef Hanlon, recording, Royal Albert Hall, Session Live, The Beatles by Live Music Exchange. Bookmark the permalink.